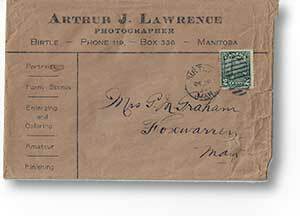 Arthur Lawrence arrived in Birtle in 1903 to set up a photography studio. He died in Birtle in 1947, after a long and successful career of promoting the area through his photographs. As a young man growing up in southern Ontario, he worked for several photo studios. His father, a Methodist minister who had recently been to a conference in Winnipeg, suggested that Arthur consider setting up his own studio in Manitoba. After considering several communities, Arthur chose Birtle, and set up shop in the third floor of the recently-completed Patterson block on Main Street. 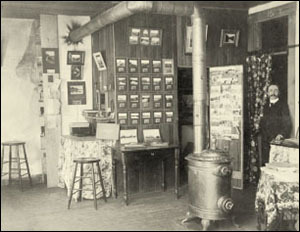 Many scenes and events in the succeeding years were photographed by Arthur Lawrence and were printed as postcards that sold for five cents. July 1st celebrations were an especially busy time, when people came from around the area to attend the sports day, to do business in town, and to have their photographs taken. In addition to his studio work, he drove about the country to take pictures of farm scenes and threshing gangs. He also did many family portraits. 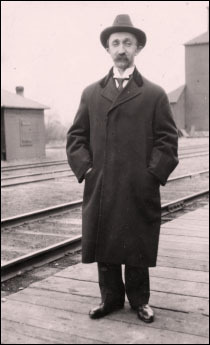 In 1910, Arthur went into partnership with George Meeres and expanded his business beyond his Birtle Studio by opening a chain of studios in Binscarth, Rossburn and Russell. 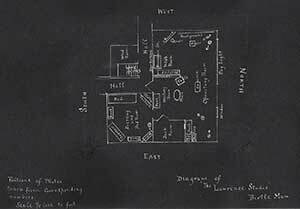 In 1912, he moved from the Patterson Block and he and Meeres built their own studio, just north of the west end of Main Street. 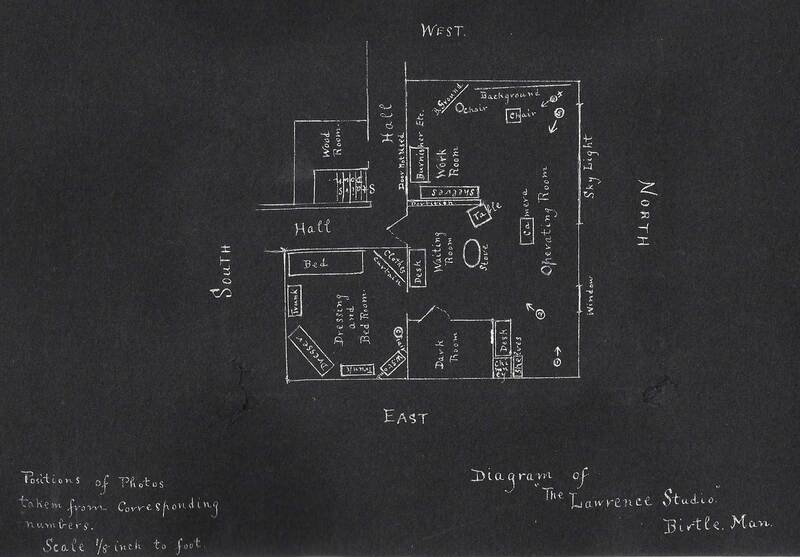 Arthur drew the plans for the whole building himself. Although Arthur was very happy in his partnership, by 1919 he felt he had no choice but to dissolve the partnership when health issues and the strain of travelling from town to town and keeping up with all the work became too much. The studios were split up, with Arthur retaining Birtle and Binscarth. 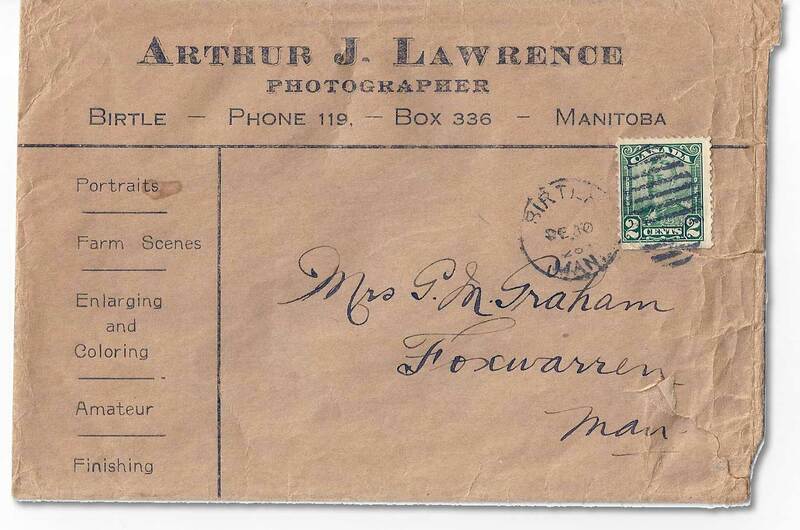 Arthur Lawrence died in March 1947, active to the end, and is buried in the Birtle Cemetery. We are forever indebted to him for his insightful memoir as well as the hundreds of photographs he took, allowing us to preserve a glimpse of Birtle’s past. "When A.J. adopted Birtle as his home just 44 years ago it was without reservations. Since that time no man has had the welfare of the community more at heart…"
The Birdtail Country Museum has many of his photos and postcards, as does the Bruce Peel Special Collections Library at the University of Alberta. An envelope from the studio. A more complete story of Arthur Lawrence, including passages from his detailed memoirs, is included in our latest publication, Birtle Begins. Copies for sale are available at the Municipal Office or Pharmacy in Birtle, and a free copy is in the library. An excerpt of his memoirs is available here.